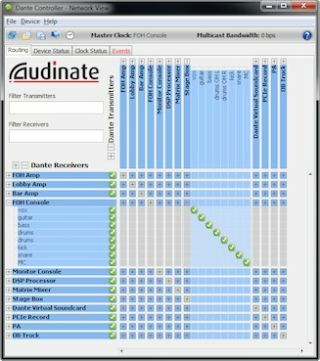 The What: Audinate, the inventors of Dante, an interoperable digital media networking solution, announced that the Dante Controller software is now available for a free upgrade download. Dante Controller software allows end users to set up and manage audio routes in a network of Dante-enabled devices. The Bottom Line: Dante is built on IT standards, and is a complete media networking solution. Dante delivers a low-latency, tightly synchronized, sample-accurate playback, while simplifying installation and configuration of AV networks.